As a Carrier Factory Authorized Dealer, Maglish Plumbing, Heating & Electrical is skilled and knowledgeable in the installation, repair, and service of a wide array of heating systems. With top quality Carrier systems, you enjoy maximum efficiency and complete comfort all winter long. We’re proud to serve residents and commercial business owners throughout Merrillville IN, Valparaiso IN, Chesterton IN, Portage IN, Hobart IN & Crown Point IN. Give us a call today and experience what Maglish Plumbing, Heating & Electrical has to offer! 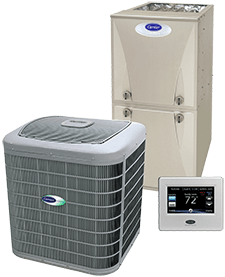 Living in Lake, Porter & LaPorte Counties during a hot summer, you want a cooling system that will keep you comfortable all season long. When you work with Maglish Plumbing, Heating & Electrical, you get reliable A/C repairs, maintenance, and installations, right when you need it. With 24 hour emergency service, we ensure you have peace of mind knowing your home or business will be kept cool. 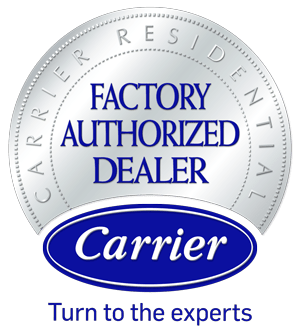 We’re a Carrier Factory Authorized Dealer, so we operate to strict standards of business practices and expertise. Call us today to schedule your next appointment or get more information! Stay safe with expert electrical services from Maglish Plumbing, Heating & Electrical. We value your satisfaction and only offer the best service throughout Merrillville IN, Valparaiso IN, Chesterton IN, Portage IN, Hobart IN & Crown Point IN. Our team is capable of a full range of electrical devices for both homes and commercial spaces. We keep our technicians regularly trained and updated on the latest techniques and technologies, ensuring complete safety and efficiency. Count on Maglish Plumbing, Heating & Electrical for all your electrical needs! When it comes to your home or commercial space, you need a reliable plumbing system. With services from Maglish Plumbing, Heating & Electrical, you’ll have just that. Our plumbing technicians are skilled and trained in the most advanced techniques to ensure you’re getting the best service available. We offer top quality installations, repairs, and maintenance of your valuable plumbing systems. From tankless water heaters to sump and ejector pumps, we do it all. Contact our team today! "Tom is always so pleasant and informative. He does a great job, and is nice to have around." "Excellent service. Called before arriving and was very polite and knowledgeable." "Excellent service and service tech very efficient. Thank you for such quick service on an after hours call." "Great and fast service.Very professional and knowledgeable. I would recommended it to my friends." "Always great service , reasonable prices for very high quality work!" Maglish Plumbing, Heating & Electrical provides home and business owners across Lake, Porter & LaPorte Counties with a reliable source for heating, cooling, plumbing, and electrical services. Locally owned and operated, we take a great deal of pride in our well-established reputation for prompt and trustworthy solutions to even the toughest challenges. By combining higher standards of customer service, job performance, and quality products, we earn your ongoing business through a rewarding start-to-finish experience and sustainable results. Whether you’re in need of seasonal maintenance, skilled repair, new construction installation, or system replacement, Maglish Plumbing, Heating & Electrical delivers the efficient, reliable, and safe operation that lets you take your essential residential and commercial HVAC, plumbing, and electrical systems for granted. 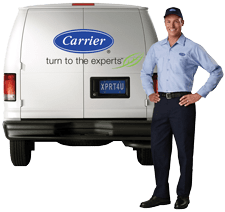 As a Carrier Factory Authorized Dealer, our team of licensed technicians, laborers, and customer service representatives receive regular training updates, remaining current in evolving HVAC technology and product development. When you call on us to handle any aspect of heating, cooling, plumbing, or electrical requirements, we send an experienced and proficient professional to your door, on-time and equipped with state-of-the-art tools, genuine manufacturer’s replacement parts, and industry resources to complete your project quickly and to exceptional standards. Call Maglish Plumbing, Heating & Electrical for all your heating, cooling, plumbing, and electrical service, repairs, and installations! Through 24-hour Emergency Service across Merrillville IN, Valparaiso IN, Chesterton IN, Portage IN, Hobart IN & Crown Point IN, our team of experts create a safety net that is always available to resolve a crisis situation. Contact us at 219.764.8200 to speak with a knowledgeable and courteous member of our staff. We are always happy to provide further information or set up convenient appointment times.